A good coating of wax helps protect the surface of the wood furniture and to extend its appearance and useful life. NOTE: The tasks and timings shown here for your Furniture (fine wood) are based on a single-family home (owned), located in Massachusetts, United States, with priority set at ‘1 star' or higher, for all possible goals. If you set your personalization differently in your Home Wizard app, then you may get reminders for different tasks and timings in your recommended home care program for your Furniture (fine wood). The best maintenance for clear varnished wooden furniture is a coating of good paste wax. Paste wax is a very stable material that provides good protection from moisture and airborne pollutants. Good quality paste wax is available in most hardware stores. A thin coat should be applied in accordance with the directions on the can. If brass hardware on the wooden furniture needs polishing, it is recommended that it be first removed from the furniture, so that the brass polish does not come in contact with the wood. Between waxing, loose dust on the surface can be removed with a soft, lint-free cloth, gently rubbed over the surface. Dust is abrasive, and can scratch the surface, so care should be taken. The benefits of this task is that it helps to extend the useful life of your fine wood furniture. The cost of this task is relatively low. 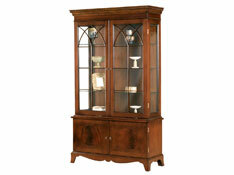 The time required will depend on the amount of fine wood furniture that you have and their ages.